Are you worried about your smile, namely the sense of discomfort you have been feeling lately, when you try to enjoy your meals or even a warm beverage, like a cup of cocoa, cider or coffee? Have you noticed deep staining on the surface of your teeth, or white patches on your teeth’s enamel? 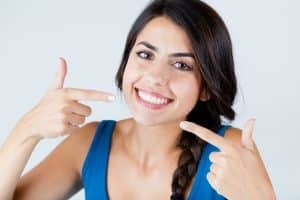 Many people feel tempted to overlook warning signs of dental trouble, such as these, hoping the issues will simply resolve themselves over time, or thinking that they are inconsequential. Unfortunately, the teeth cannot repair themselves the same way some parts of the body can, like the skin, for instance. So with time, dental issues are likely to worsen, not get better. To avoid the need for extensive restorative action, like root canal treatment to address an infection, speak with your restorative dentist at the first indication that your smile could be in trouble. This is the best way to protect your smile, and your comfort. When Is Restorative Action Needed? Heightened sensitivity, particularly when enjoying hot or cold foods or drinks, or those with high contents of sugar, is often the first warning sign of dental decay, like is characteristic of dental caries, or as they are more commonly called, cavities. This sensitivity can occur when the enamel has been eroded, revealing the more sensitive layer of tooth that lies beneath it. This layer is called the dentin. Treated promptly, most cavities can be addressed with minimally invasive dental fillings, which help to seal the inside of the tooth from further exposure to bacteria or food particles. By doing so, a filling can help to increase a patient’s comfort and protect against infection. Changes to the teeth’s color can also be warnings of cavities. Both dark lines, particularly along the teeth’s crevices, can indicate dental decay, but so can white patches, which could be caused by enamel erosion.